On the saddening day of Sunday, September 8,1935, Dr. Weiss and his family attended Mass at St. Joseph's Catholic Church (later St. Joseph's Cathedral) in Baton Rouge, Louisiana. After Mass, Dr. Weiss and his family went to his parents' home in Baton Rouge. Dr. Weiss and his family returned home later that evening, but he left again because he had to visit a patient he was due to operate on the next day. Dr. Weiss, later telephoned from the patient's home and told his wife he would be home. Senator Long walked to Governor Oscar Kelly Allen's office and told the Governor off. After telling the Governor off, Long turned around, and Dr. Weiss approached him and asked if they could talk. Long pushed Weiss and told Weiss to leave him alone and insulted Weiss. Dr. Weiss, angry and upset, punched Long in the mouth and Long's bodyguards - without warning - opened fire shooting and killing Dr. Weiss with 61 bullets. Bodyguards Joe Messina's and Murphy Roden's guns misfired and two bullets (one a piece from theirs guns) struck Long. Long was driven immediately to nearby Our Lady of the Lake Sanitarium. After the shooting and possibly facing murder and manslaughter charges, Long's bodyguards went out to the car that Weiss pulled up in, ransacked it, and pulled a .32 caliber Belgian pistol that Weiss kept in a sock in the glove compartment of the car. They later placed the pistol next to Weiss's dead body to make it look like that he shot Long. Elois Sahuc later confirmed that Weiss was not Long's assassin and saw the bodyguards place the gun next to Weiss. Also, Dr. Weiss's brother, Tom Ed Weiss, and their cousin, Jim Brousseau found the car ransacked and they knew that Dr. Weiss would never leave the car ransacked. Also, they noticed that the sock that Dr. Weiss kept his gun in was on the floor. Tom Ed knew right then and there that Dr. Weiss was not the assassin, because, one time, Dr. Weiss criticized his brother for not putting the sock back in the glove compartment. 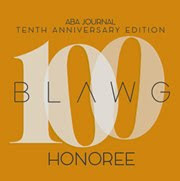 While, Long was being prepared for surgery his lip was bleeding. When asked how he got it. he said, "That's were he hit me". According to those present he was referring to Dr. Weiss punching him. At around, 11:00 pm, Huey Long went under surgery. During the operation (later described by Coleman Vidrine, a relative of Dr. Arthur Vidrine) Dr. Vidrine removed .38 caliber bullet from Long. This is significant because Weiss was alleged to have carried his .32 caliber pistol into the State Capitol and Long's bodyguards carried .38 and .45 caliber hand guns. Since a .38 caliber bullet was removed from Long, this bullet could not have come from Weiss's gun. After the surgery, Long was sown up and pronounced cured. However, the surgeons overlook a serious wound to Senator's kidney. Long would linger on for 2 more days. On September 9,1935, a funeral mass was held for Dr. Weiss at the same church he had attended the day before. It would have been controversial to hold a Catholic funeral if Weiss was Long's assassin. However, Monsignor Leon Gassler who presided at the funeral mass knew Weiss and even saw Weiss receive Holy Communion the day before. Gassler also knew Weiss was a devout Roman Catholic. Gassler was convinced that Weiss was not Long's assailant. Also, the Archbishop of New Orleans Joseph Rummel did not believe that Weiss was Long's assailant. Among those who attended Weiss's funeral were his wife, parents, siblings, mother-in-law, and friends. Judge Pavy did not go to the funeral because he was in shock about what happened to his son-in-law. Dr. Weiss was buried at Roselawn Memorial Park in Baton Rouge, Louisiana. None of Weiss's family members in 1935 and today believe Weiss is guilty. They believe he was innocent and framed. On September 10,1935, Senator Long died after lingering from the wounds he sustained from bodyguards Messina and Roden. As Long was being prepared for burial, the mortician in charge, Merle Welsh, was visited by Dr. Clarence Loirio, a surgeon who worked on Long's surgery. Dr. Lorio made an incision into Long's body and retrieved a .45 caliber bullet. In the 1980s, Welsh confirmed that it was a .45 caliber bullet that was removed. In 1991, with permission from the Weiss and Pavy family, Dr. James Starrs exhumed the body of Dr. Weiss and noticed that his right arm plus his hand was fractured. Dr. Starrs was convinced that when Weiss punched Long he fractured his hand and arm. Also, Dr. Starrs noticed that there was a bullet in Weiss's head with a piece of white cloth. Dr. Starrs surmised that when Weiss was being shot at. He put his hand up to try to protect himself and the bullet went through the shirt and struck Weiss in the head. Also, Dr. Starrs found Dr. Weiss's missing .32 caliber Belgian hand gun with 5 unused bullets and one used bullet. A ballistics test was done and it showed that the used bullet did not come from Dr. Weiss's gun. Dr. Tom Ed Weiss, said that during that fateful day Dr. Weiss fired one bullet, during a shooting practice, in a tree. 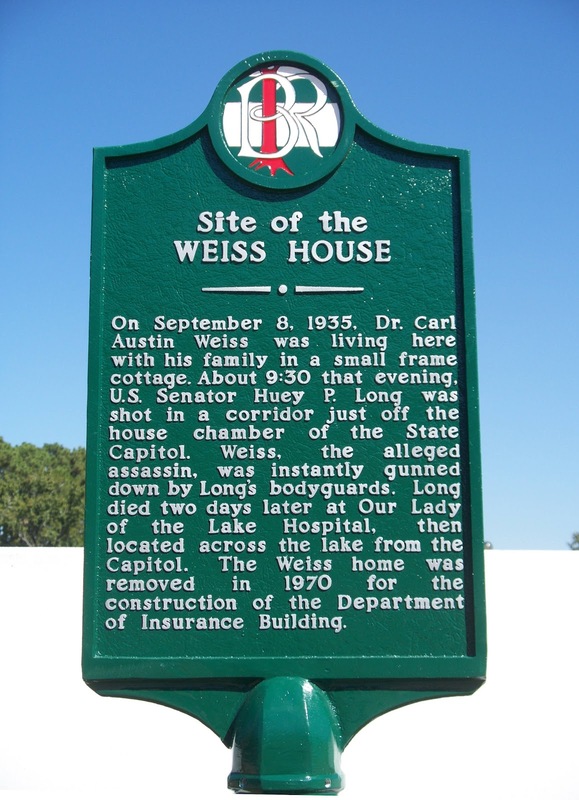 The Louisiana State Police, conducted by Captain Don Moreau, did an investigation and still concluded that Weiss was Long's assailant. In 1993, former Louisiana State Police superintendent, Francis Grevemberg came forward with information he heard on a car ride in 1951. Grevemberg also believed that Dr. Weiss was innocent. Grevemberg was told by two state troopers who were eyewitnesses to the shooting that Dr. Weiss was unarmed when Long was shot. They also told him that, after Long was shot, the bodyguards with help from Louis F. Guerre, head of the Louisiana State Police, planted a gun on Weiss. Despite this information, the Louisiana State Police dismissed it as hearsay. A few more interesting items: In 1936, an insurance investigator was sent from the insurance company that awarded the Long family $40,000. The insurance investigator concluded that Long's death was accidental and that Weiss was not the perpetrator. In 2010, on the 75th Anniversary of the alleged assassination held at the Old Louisiana State Capitol was a symposium on Huey Long's death. It was attended by Dr. Donald Pavy (a relative of Dr. Weiss), Dr. Carl Austin Weiss, Jr. (son of Dr. Carl Austin Weiss), and many others. When the audience of 300 was asked did they believed Weiss was Long's assassin. In a vote of 3 to 1, they said they believed Weiss was innocent. Weiss' case was featured on Unsolved Mysteries in 1992. See also the 2014 film "61 Bullets" (reviewed here) and this story from NOLA.com. You can also read the 1992 report of the Louisiana police here.